Cosmo Hotel Hong Kong is just 45 minutes’ drive from Hong Kong International Airport and offers easy transfers to and from that location. Guests can choose to take the Airport Express Train to Hong Kong Station where there is a free Hong Kong hotel shuttle to reach the hotel directly. Alternatively, limousine and airport coach services are also available. 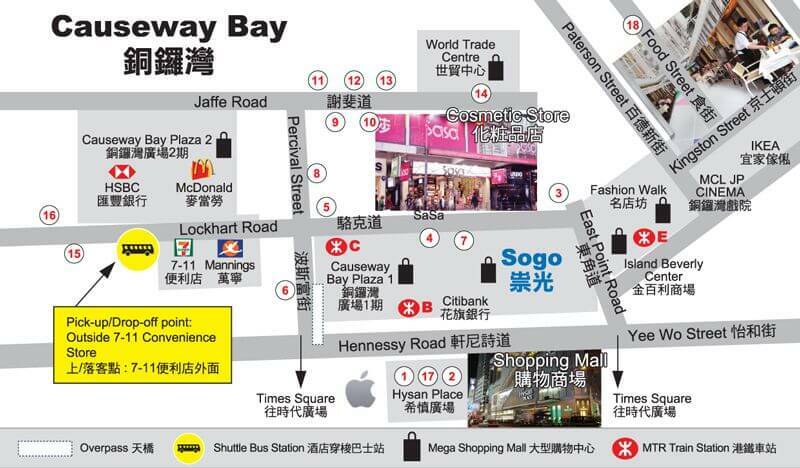 The hotel is just an 8-min walk to Causeway Bay and Wan Chai subway stations (MTR) and the mega shopping mall at Times Square. 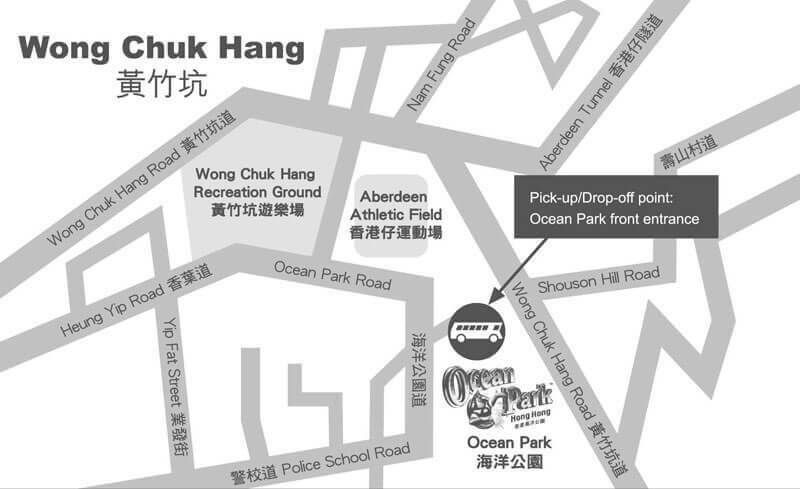 The Cosmo Hotel also provides a free Hong Kong hotel shuttle service to these locations. Its shuttle bus service goes to 14 destinations in Causeway Bay (Causeway Bay Plaza 2), Wan Chai, Admiralty (Pacific Place 3), Central (Airport Express Line Hong Kong Station), Quarry Bay, and Taikoo. Trams and bus stops are also right on the hotel’s doorstep, making the hotel the perfect place to base your visit to the city.